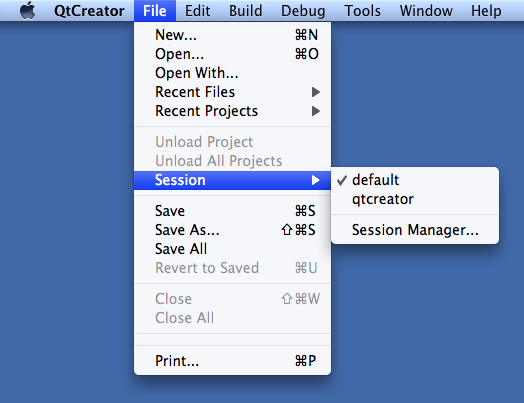 When you run Qt Creator, you enter a default session. You can create a new session using the Session Manager... option, available in the File > Session menu. To switch between sessions, select File > Session. 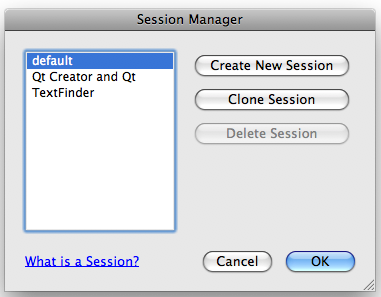 If you do not create and select any session, Qt Creator always uses the default session. 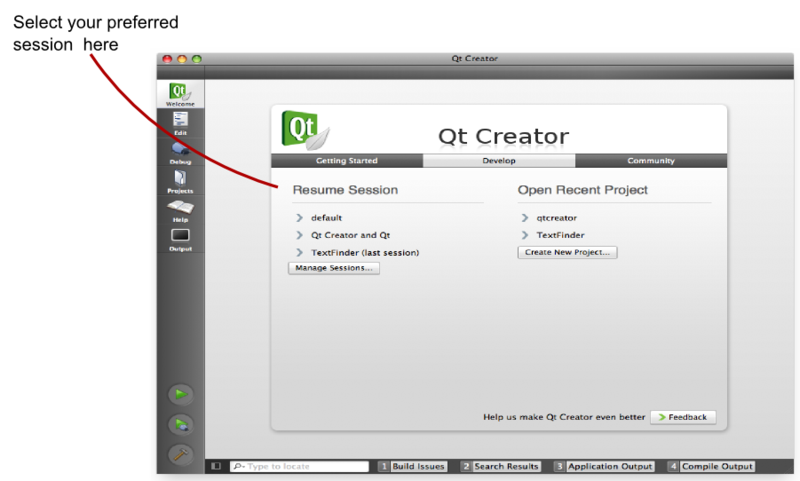 When you launch Qt Creator, a list of your sessions is displayed on the Welcome screen.